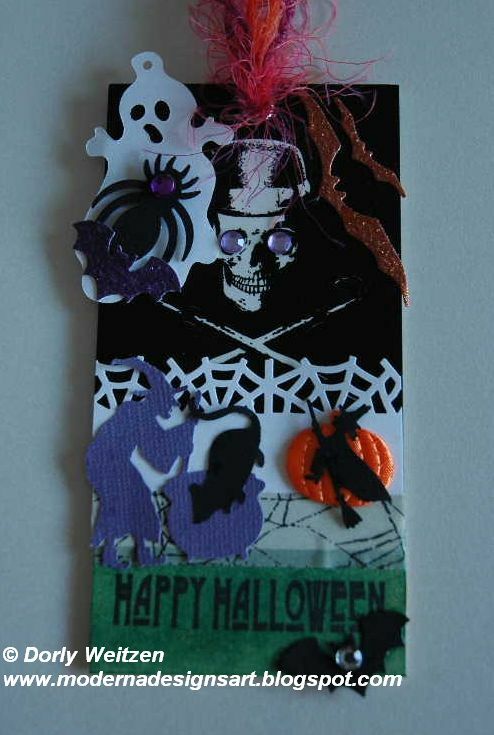 This is my 2nd tag, created for the ATT Halloween Chaos Tags Swap (group 5). It's 1 out of 11 Halloween tags created by different ATTers, all beautiful and very creative. 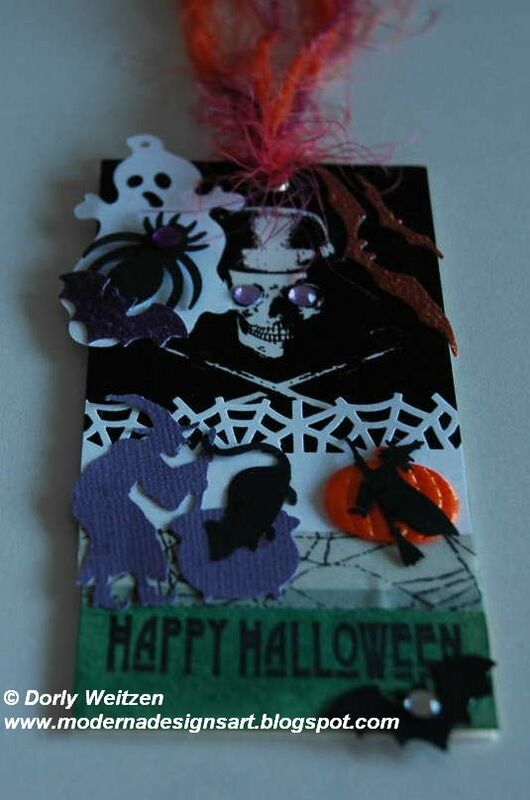 The tags will decorate a 12X12 black canvas, with magnificent topper and charms, created by Stacy Cook, the swap's hostess. 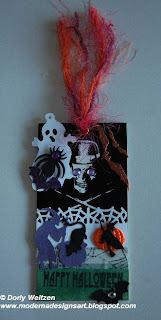 In this tag you can see many typical Halloween themes: a witch cooking a rats soup and a witch flying over a pumpkin, bats, spiders and their webs, a skull with shiny eyes and a cute ghost. A lower view shows the 3D elements, for extra dimension. They seem spooky to me, all matching the Halloween colors.